Preferred Equipment creates efficient and cost effective solutions for complex parts storage applications by doing our homework. 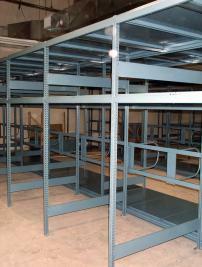 We review the exisitng storage methods and analyze the sizes and quantities of the parts to be stored. Working with the customer, we determine the frequency & method of access to the parts and the capacity needed for growth in the future. Then, we take this information and integrate the customers needs with the space constraints and develop the most efficient solution for this particular application. 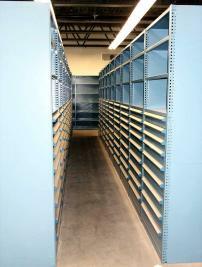 "We can help you develop a new system for parts storage or make your current system more efficient and easier to use. "